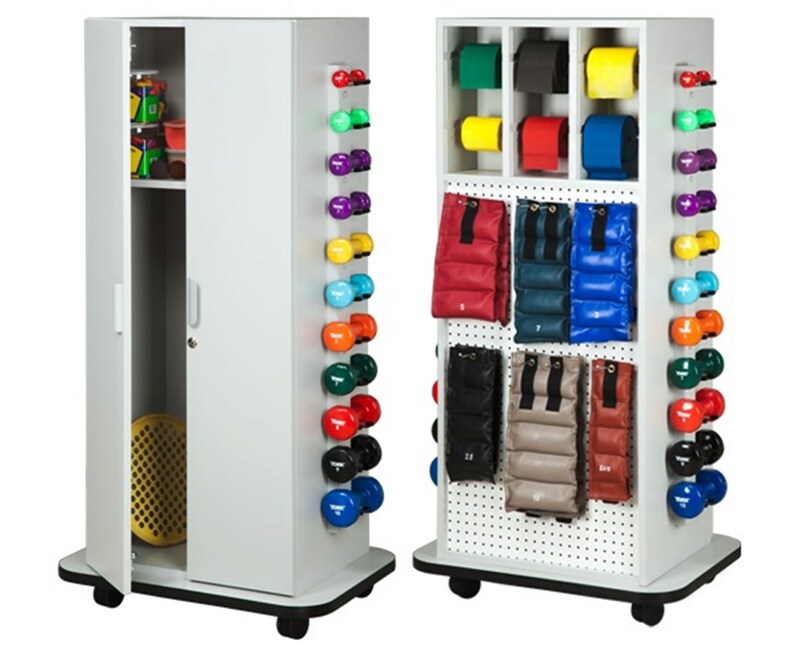 The Clinton Industries Element Series CabinetRac Weight Rack is a versatile multi-purpose storage device designed to hold up to 48 cuff weights, 22 dumbbells, 6 rolls of exercise band and/or tubing and much more. It is an ideal choice for any physical therapy or rehabilitation facility. Awesome Design. 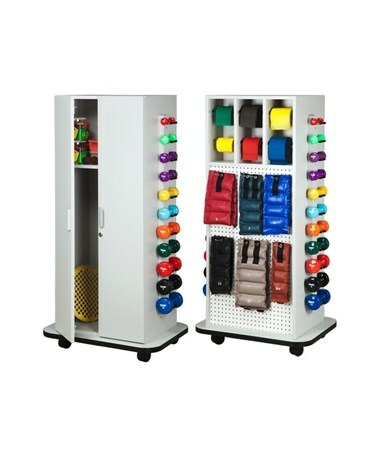 Constructed with two locking doors, the CabinetRac Weight Rack has 3 adjustable shelves and, depending on the package option, either 1 fixed shelf or 3 fixed shelves. With the user's choice of exercise band and/or tubing, the CabinetRac is arranged in 6 independent, quick-change positions. 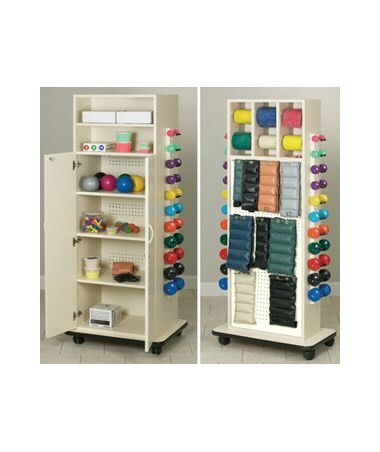 Its features a white pegboard to store cuff weights and the included dumbbell rods are made with strong polycarbonate & are angled for better stability. Ease of Transport. A protective bumper molding is located around the edge to prevent damages and scuffing. The 4" swivel casters, with 2 that lock, make the CabinetRac's movement around the facility quick and hassle-free.